With 130 events there's something for everyone! Shaldon Regatta is over 200 years old and offers fun for all the family. We have 130 events, many of which are on the beach so even if you're not a rower or sailor you can still take part! There are individual events and team events as well as events for all abilities. If you are not sure what it's all about just ask one of the friendly committee members at the committee stand or talk to one of the CREW (it's on their shirts) on the beach. We will give you every help and encouragement so you can take part. Don't forget equipment is provided for many events, including rowing, sailing and kayaking. 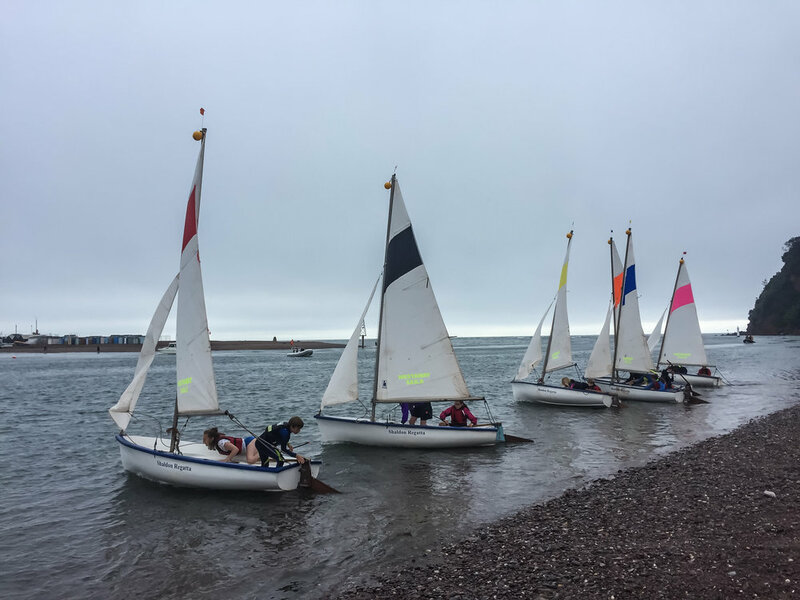 Read more about the history of Shaldon Regatta and how it has become the nine day event it is today. Take a peek at our diary for 2018 events or download a programme here.